We developed a countywide program that gave special consideration to children from low-income and minority families. The beginning of Liberty Community Center can be traced back to as far as 1926. The building at 235 S. Liberty St. housed the congregation of the Faith Chapel Methodist Church on Sundays and served as a social gathering place for Delaware’s African Americans during the week. The Liberty Community Center was incorporated in 1947. The Incorporators were a biracial group concerned about the shortage of social programs for Delaware African-Americans. At the time African-Americans, as elsewhere throughout this country, were still afflicted by a full range of disadvantages. The Liberty Community Center sought to equalize, not only the opportunity, but also the preparation and experience of African-Americans in the area of athletics, culture, education and employment. In 1948 the Board of Trustees of the Ohio Annual Conference of the Methodist Church donated the Faith Chapel church building, located at 235 S. Liberty St, to the Liberty Community Center. The Center’s Board of Directors immediately turned that building into a community service center. For the next several decades the center not only provided a variety of services but also became a meeting place for interracial organizations that struggled for racial justice in the Delaware Community. In the late 1970s, we reached a turning point. The facility at 235 S. Liberty St. was no longer sufficient for our programs. Recognizing this fact, the Board of Directors, acting in concert with the City and Ohio Wesleyan University purchased a three and half acre piece of land for the erection of a new center. On October 17th, 1982 we dedicated the first unit of our present building. For the next several years the Center concentrated heavily on child care programs. We developed a countywide program that gave special consideration to children from low-income and minority families. In the meantime the demand for childcare and related services increased. We were convinced that, should we ignore the need for expanding our program we would not be fulfilling our mission. Spurred by our conviction, we went to the state of Ohio with a proposal and plea for help. The state answered with a precedent-setting response. 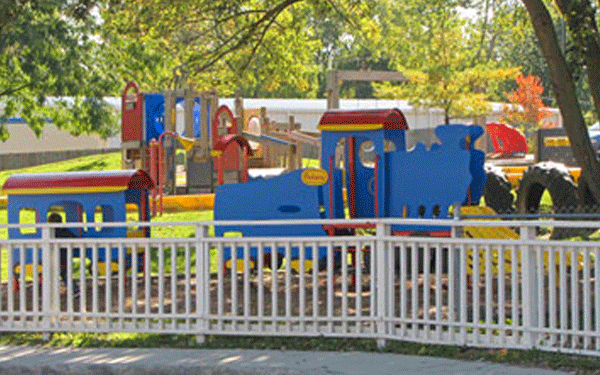 For the first time in Ohio history, they committed the state government to fund a campaign for erecting a structure in which children with special needs would be mainstreamed with children of typical needs. They promised that if we would raise half of the money from private sources, they would make us a grant for the other half. Thus we entered into a partnership between public funding and private philanthropy, to enlarge our facility and enhance our opportunity for doing justice by all of the children—-black, white, those with typical needs and those with special needs, children of professionals and children of laborers. 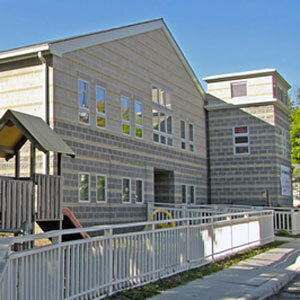 On May 3rd, 1992 the Liberty Community Center Special Needs Preschool addition was dedicated.